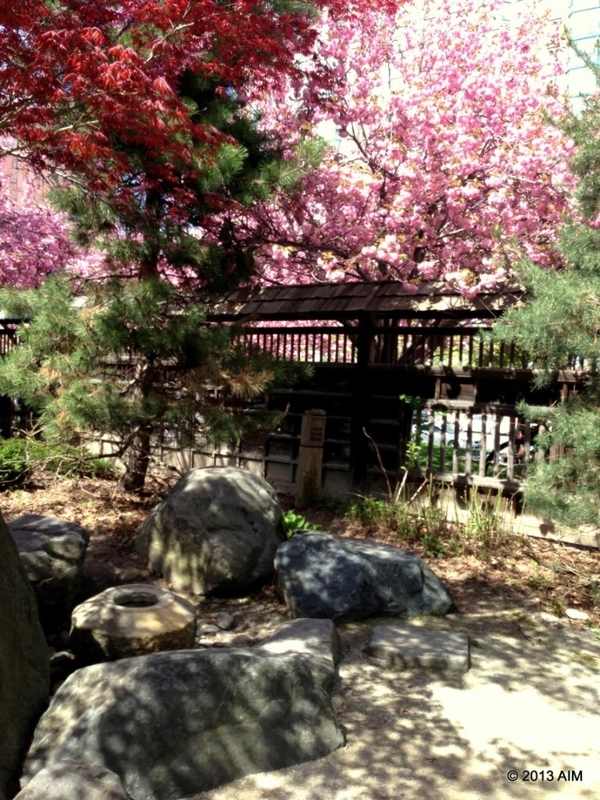 Spring is upon us and the cherry blossoms are in full bloom at Kariya Park—a Japanese-styled garden inspired by Mississauga’s twin city, Kariya, in Japan. When you walk through the garden gates of this beautiful park, you forget where you really are: it’s rush hour, and Square One’s parking lot is full, cars and buses along Burnhamthorpe are speeding by and the “Marilyn” buildings stand tall in the distance. However, inside the park the only sounds you will hear are those of a gentle water feature, mallards splashing in the pond and children laughing under the pale pink cherry trees. In contrast to this, back in Kariya Park, a stone tsukabai basin, hand-carved by sculptor Fumio Naito, is used for cleansing your hands. A variety of specific Japanese-inspired foundation plants and trees are spread throughout the park including Redbud, Sweetgum, Ginkgo, Tree Peonies, Katsura and Japanese maple. Later in the season, a display of Kariya’s official city flower—the delicate lavender-hued Iris Laevigata or rabbit-ear iris—will be one of the first sights greeting visitors as they enter via the gatehouse on Kariya Drive. Any budding Van Gogh would be inspired to bring along a canvas and paint to capture this beauty. 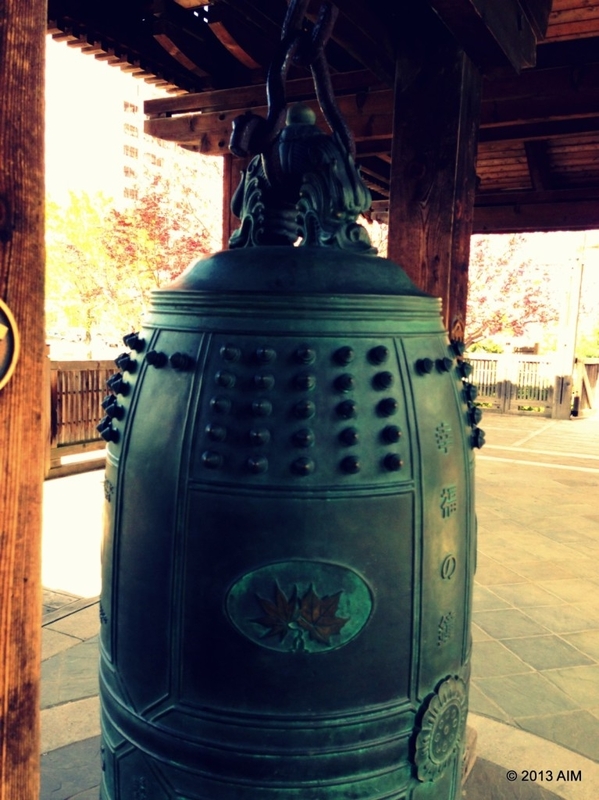 Another feature to look out for in the park is the Friendship Bell: a bronze bell hanging in the pagoda, with images of iris flowers around the perimeter and an inscription reading “By welcoming the new century, this bell is produced as a symbol of everlasting friendship between the City of Mississauga and the City of Kariya.” The bell, which was cast in Japan, is rung on ceremonial occasions. Also found on the bell and around the park is a symbol of a wild goose (Kari) about to take flight and a figure 8 (Ya). Now, a Japanese Garden would not be complete without a Zen Garden—a place to encourage inner peace, reflection and tranquility—and you will find this garden just beside the main pagoda. The pebbles in this rectangular space are raked into patterns and glisten when the sun shines on them: I cannot think of a more serene place to sit and drown out the bustle of the city in the background. Mississauga never ceases to amaze me. 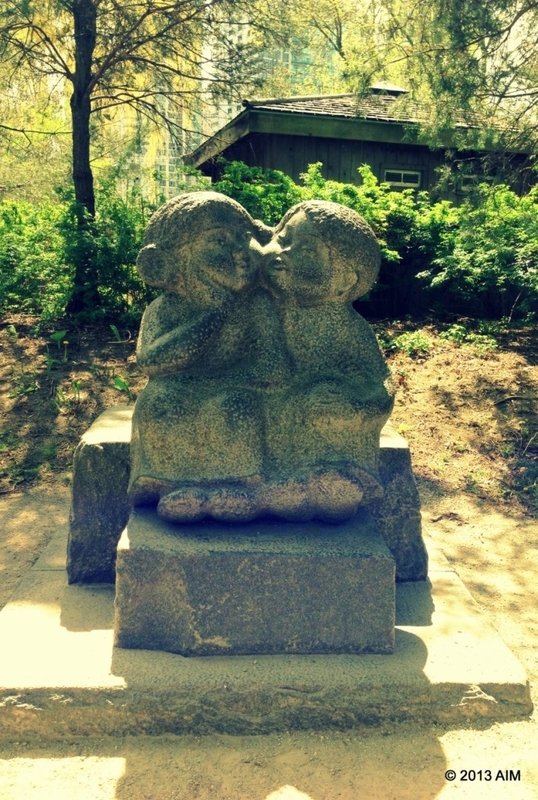 Who knew that in the heart of this vibrant city, you can escape in seconds and be transported to Kariya, Japan and experience its natural beauty through this symbolic expression Kariya Park offers to us all. To view pictures of Mississauga Park in Kariya, Japan, visit: mississaugatwincity.ca/our-park. Kariya Park is open to the public seven days a week, from 7:00 a.m. to 9:00 p.m., through the entrance on Kariya Drive just off of Burnhamthorpe Road east of the Mississauga Civic Centre. For more information on Kariya Park, contact Parks Operations at 905-615-4100. Oh , how interesting!! It is so amazing the things you find in your neighbourhood when you take the time to look. Thanks for looking and presenting.! !